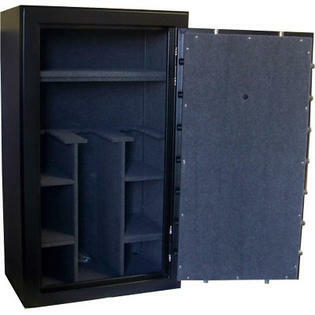 Where are Steelwater gun safes made? If you are thinking about buying one of the manufacturer’s ranges of safes, then this is probably one of the foremost questions you may be struggling with. Well, we can understand why you feel the need to get to know more about this brand. This is because they make some pretty excellent safes at a fraction of the price tags that come with rival products. 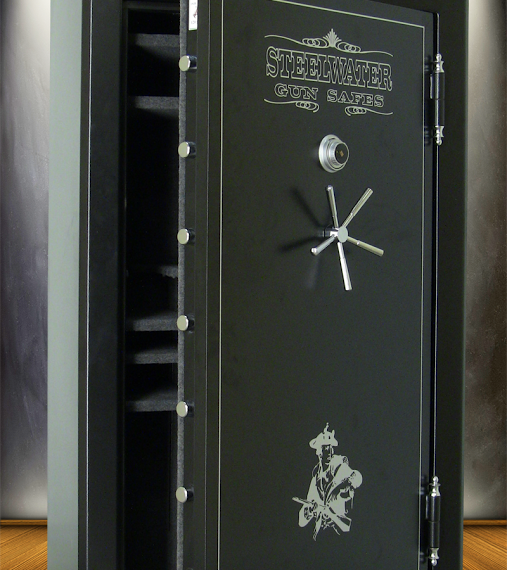 Steelwater typically makes gun safes for long guns and has products ranging from 16 to 39-gun capacity. If you own a couple of rifles, shotguns, and ammo, this should be one of the first brands that come into mind. Anyway, time to get back to the main question at hand. 1 Where Are Steelwater Gun Safes Made? 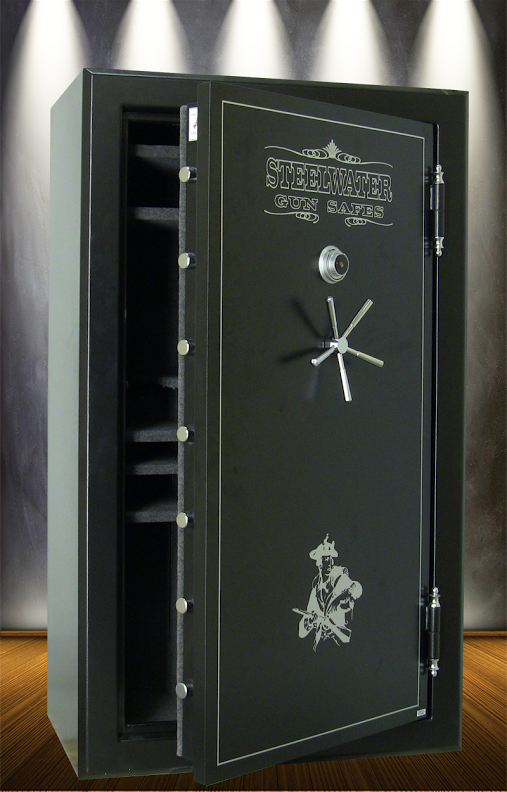 Steelwater is the most reputable gun safe brand manufactured outside the United States. In fact, they are manufactured in China. However, this shouldn’t scare you at all because it’s far from a typical Chinese model and comes with all the necessary features we have come to expect in most quality safes. The brand competes favorably among rivals manufactured in the States due to the highest standards of engineering integrated into it. It is built with American standards to meet the needs of American gun owners. Here are the benefits of owning Steelwater gun safes and the reasons why thousands of people from all walks of life have invested in one of these safes. There are so many reasons why Steelwater gun safes have become so popular in the market. Firstly, owning one of them gives you the confidence to store guns and other items of value. You can therefore go to bed or leave your home with complete peace of mind. The knowledge that intruders will likely struggle to get inside your safe even if they somehow successfully break into your home or office can be soul satisfying. The safes are engineered with authentic steel beams enhanced with solid welded beads to ensure that they can stand multiple forced-entry attacks. Common burglary tools such as axes, hammers, and crowbars struggle to break into safes manufactured by Steelwater. The Steelwater product line of safes feature foolproof digital locks that are designed to be EMP proof. The locks come in a premium steel hard plate to prevent thieves from drilling it out in an effort to gain entry. In addition, the lock is easy to program and features additional functionality to prevent unauthorized access. Steelwater safes are built with unlimited security options to prevent sophisticated forced-entry attacks. It features built-in U-channel rods that link to the locking bolts to ensure sheer strength against break-ins. The presence of heavy-duty hinges at the side of the safe’s doors reinforces its ability to withstand major forms of prying. The hinges also feature extra locking bolts to make it stronger. Steelwater gun safes may be Chinese-made which means some consumers will overlook it in favor of USA-produced security vaults regardless of their qualities. However, they are designed with the latest industry advancements so you can be sure that they will hold their own against American safes. The fact that you can get one at an extremely affordable price means you don’t have to break the bank even if you have an enormous collection of your pistols, rifles, and ammo.